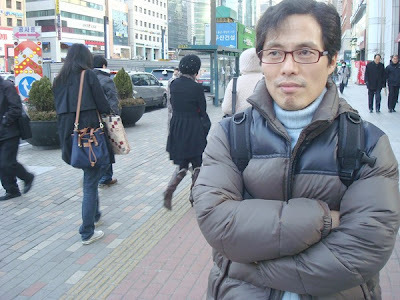 The National Human Rights Commission of Korea says the 2014 arrest of a Nigerian man violated his rights as authorities refused repeated requests to contact his embassy for more than a week. Maxwell Iruviere says police confused him with another Nigerian & is now seeking compensation for his November 2014 false arrest & imprisonment. Korea FM spoke with Iruviere & Lawyers For A Democratic Society Attorney Yuna Lee about the incident. I saw this article in the Seoul Newspaper, but didn't find a translation. It was short, so I thought I'd translate it for my readers. Mr. A, a gay man, was threatened to be exposed as gay to his family and friends by his ex-lover of last year. Mr. A wanted to report it to the police, but he was worried his sexual identity would be revealed during the investigation process so he gave up on reporting the threat. 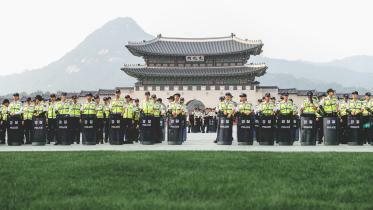 Is Seoul ready for the G20? - and - an experiment that needs your help! I'm totally stealing the title from Foreign/er Joy's post, because it's where this post got its start. I had high hopes tonight. Get to work sorting out the photos and notes from the Haebangchon Festival, the Hi Seoul Festival, and the Irish Ceili Music / Dance Festival - all of which happened this weekend. Is Seoul really ready for the G20?